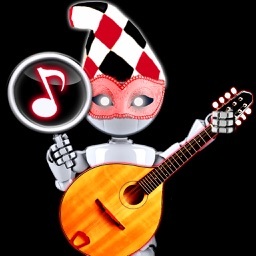 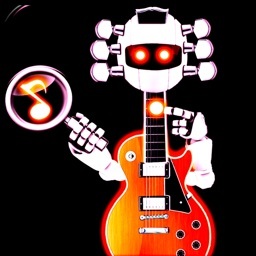 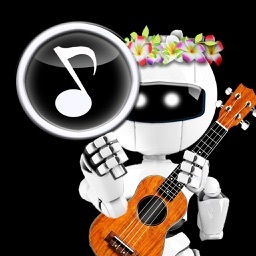 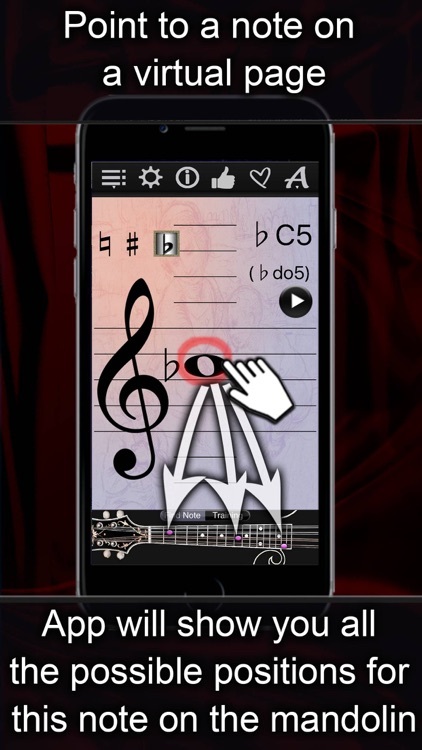 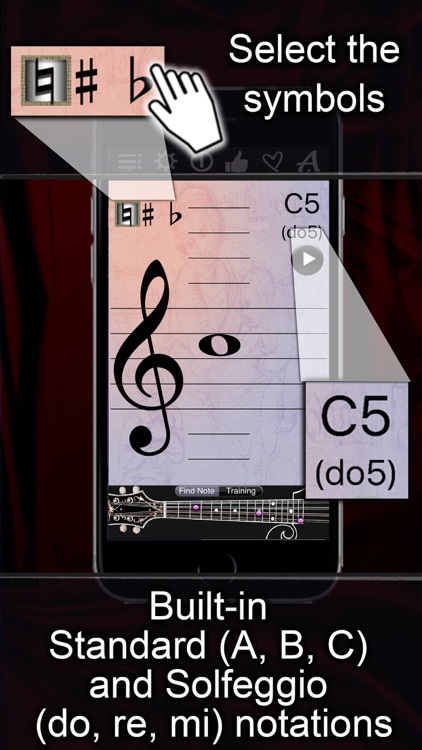 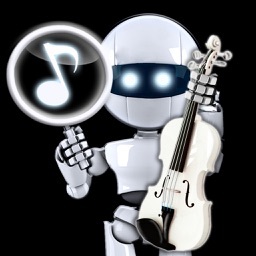 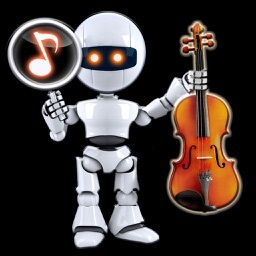 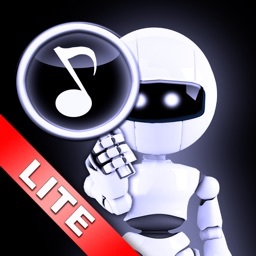 The “Note Explorer” lets you find the music notes on mandolin in interactive way! 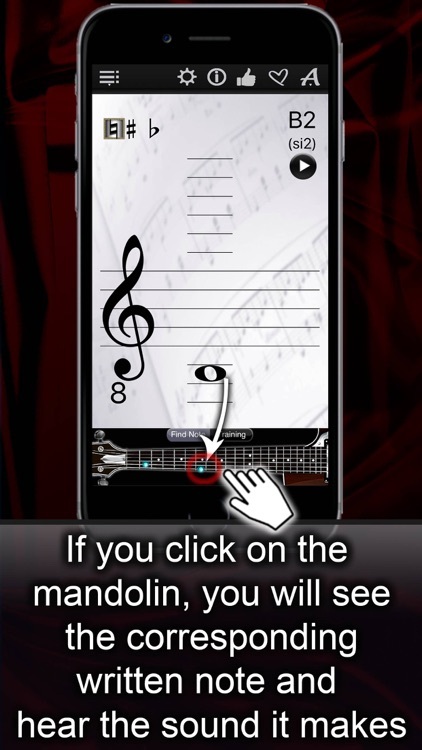 When you point to a note on a virtual page, MandolinNotesFinder will show you where this note is on an mandolin and the other way around, if you click mandolin fretboard, you will see the corresponding note and hear the sound it makes. 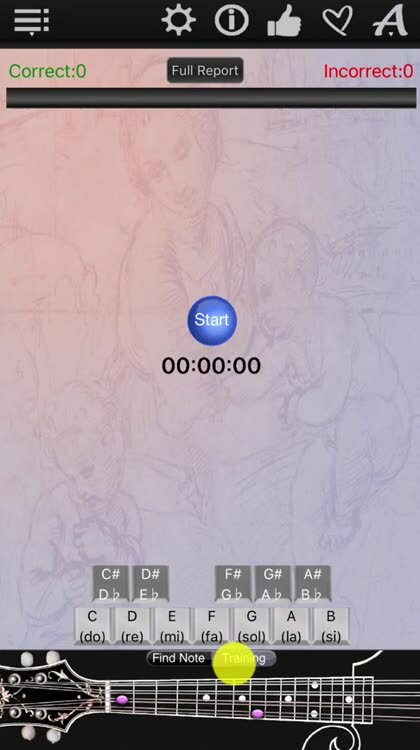 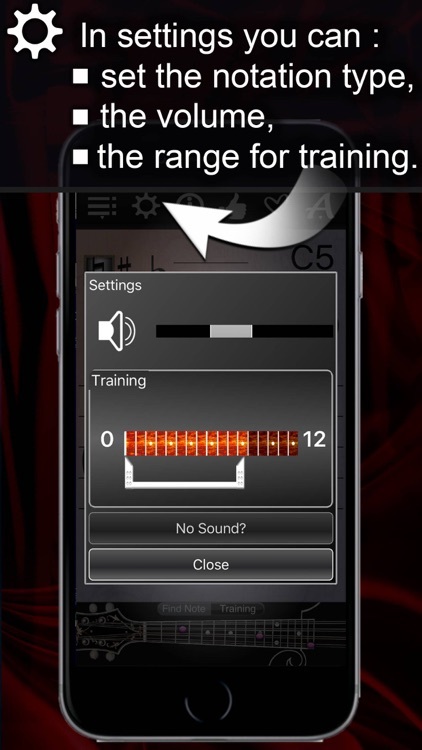 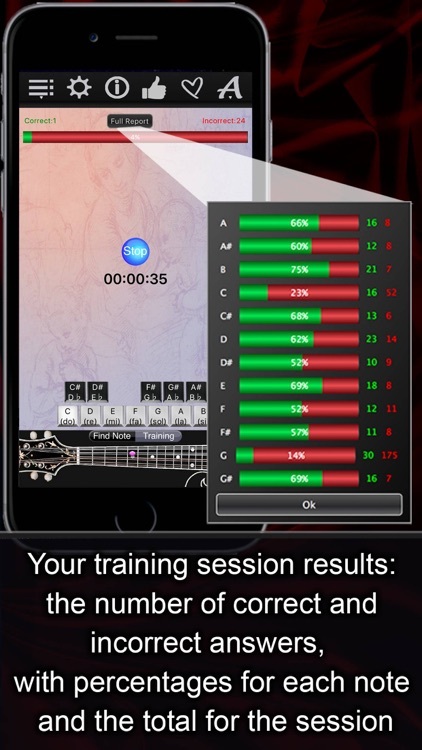 The “Note Trainer” asks for the notes showing you the frets and offers the full statistics to show where you are making mistakes, so you can measure progress in sight reading and see when you’ve exceeded your personal best.